Have you ever thought about planning a women’s retreat but wondered how in the world to get started? I’ve had the opportunity to work with women who hear God’s call to organize a retreat but who feel lost as to how to begin. They’ve seen others do it successfully and want to do the same. As women’s ministry leaders, we all know how overwhelming it can be to put together everything needed to plan a women’s retreat. Have you ever wished for a one-stop solution that contained all the resources you need? Believe me, I’ve been there, too. Over 5 years ago, I began planning and leading retreats. I’d been through a long battle with grief over the death of my best friend. Through God’s amazing grace, I came to understand Christ’s light in me and wanted to share what I’d learned with others. I knew many women struggled knowing their worth, and I became passionate about sharing God’s love by bringing them together to support and encourage each other. When I started planning retreats, I wasn’t sure where to start. I searched the internet but couldn’t find the things I needed. Eventually, I just began ‘making it up’. I talked to people, asked advice, and began creating forms and resources to help the process along. I realized other leaders must have the same problem I’d had finding what they needed, and I also realized that there was something I could do about it. And so I put together a comprehensive guide called Your Complete Guide to Planning a Christian Women’s Retreat. It offers a way to save you stress and frustration as you reap the blessings of coordinating and holding your own Christian women’s retreat. 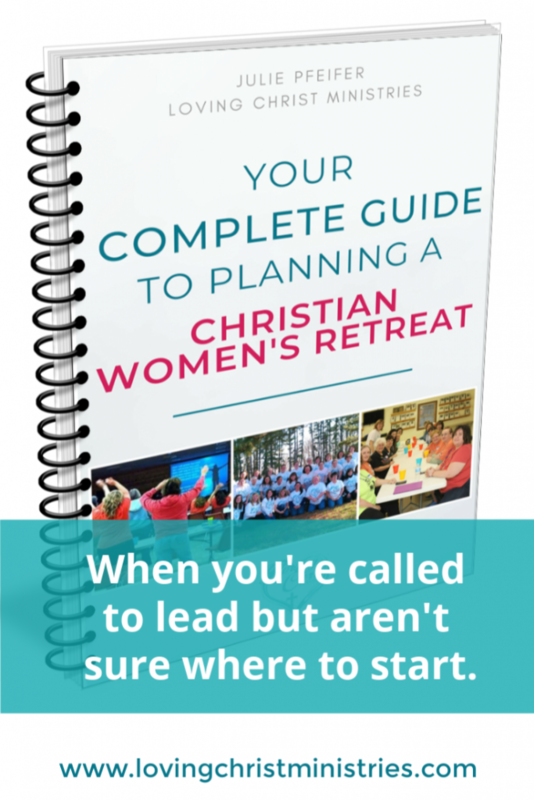 Your Complete Guide to Planning a Christian Women’s Retreat doesn’t launch until next week, but in the meantime, I wanted to give you an opportunity to check out the first video in my new training series Creating the Basics for Retreat Planning. In it, I share a template and directions for creating a promotional flyer so you can get the word out about upcoming retreats. Bonus folder filled with additional resources such as table activities, additional planning resources, group activities, etc. CLICK HERE TO ORDER YOUR GUIDE NOW!